When it comes to favorite golf tournaments, put me down for the British Open. Oh, the Masters is wonderful, too, especially the first time you go, when you’re on sensory overload, soaking up every sight, every sound, every moment. But even Augusta National in the spring, with all the dogwoods, pines and azaleas in full bloom, comes up No. 2 against the British Open in my book. My other favorite tournament of the year is the U.S. Amateur, where you get to see tomorrow’s superstars today and you can’t take two steps without stumbling over a great human interest story begging to be told. But, back to No. 1, which is the British Open by far. No matter where it was played – Carnoustie, Royal Lytham & St. Annes, Royal St. George’s, Turnberry -- I looked forward to it for weeks, and I hated to come home when it was over. I wouldn’t want to live over there, but it’s wonderful to visit. Of course, the trip over the British Open is not without its difficulties. So I’ve come up with a list of best and worst things about golf’s oldest championship. The golf courses. The difference between golf over here and golf over there cannot be overstated. Leave your 60-degree wedge at home, because you won’t hit it more than twice during a week of golf in the U.K. They play a ground game, and you learn to adapt pretty quickly. On many courses, another issue is the gorse, or heather, which is a benign-sounding name for shin-deep wiry grass that is impossible to play out of – assuming you can find your ball. Lay your bag down in that stuff and you can lose your bag. Which is also why, if you aren’t straight off the tee, you are wise to leave the driver in the bag in favor of a long iron or hybrid. The weather cannot be ignored. During the course of a single round, it can go from sunny and calm, to windy and raining sideways, and back again. Never a dull moment. Change of scenery: If the golf courses are different, so is everything else, starting with the surroundings. British Opens tend to be played in small towns and villages far from the big cities. To get there, you generally must fly into a big city, then drive through small, ancient villages that are as innocent and picturesque as something out of Robin Hood. Once you get off the thoroughfares, the roads are extremely narrow, having been built in the days before modern, wide-body cars. Because of the constant rain in the U.K, the fields and meadows you see from those roads are the richest hues of green and yellow that will stick in your mind forever. It is, in short, like going back in time, to world you may never have known existed. St. Andrews: Of all the British Open venues, none compares to the Old Course and no host city compares to St. Andrews, the small, medieval city that is the original home of golf. Although it is home to the University of St. Andrews, the third-oldest university in the English-speaking world, St. Andrews is more like a small town, with only about 16,500 residents. There’s a downtown commercial district several blocks away, but the heart and soul of St. Andrews is a short walk from the Old Course, where golf shops, souvenir shops, pubs and hotels abound. If you walk off the back of the 18th green, turn right and proceed about 100 yards up that narrow street, you come to a busy corner with a major tourist-attraction golf shop on one corner and a popular restaurant/pub on the other. During Open week, laughter and well-oiled golf fans spill out into the streets. At the 2005 Open, I shared a house with three other writers that abuts the 18th fairway. While most of our colleagues rented dorm rooms at the University of St. Andrews, we stumbled across this house on the internet – a one minute walk to the golf course. The fans: You can spend an entire week at the British Open and never once hear anybody yell, "Get in the hole!" British Open golf fans tend to be very knowledgeable, very well-behaved and, above all, very, very proper. In the event of a good shot, they offer up a polite round of applause. If it’s a fantastic shot, they ratchet up the enthusiasm a couple of clicks. Golf fans over there also make sure to bring along a sweater or pullover and an umbrella for the inevitable afternoon shower and chill, although if the sun comes out, they slather on sunscreen so thick they look like Casper the friendly ghost. The newspapers: Newspapers in the U.K. are much more lively and fun to read than their serious and often bland counterparts in the U.S. There are a couple of earnest and subdued papers – namely, the Times of London and the Guardian – but most are tabloids that scream at you from the newsstand with headlines that cannot be ignored. In the U.K., newspapers are more in the entertainment business than the news business. The flight over: Most flights to the U.K. leave Philadelphia in the early evening, fly all night (8 hours) and arrive about 8 a.m., just in time for rush hour in Europe. If you can sleep on the plane, you’re fine. If you cannot, and I cannot, you arrive stiff, cramped and exhausted, just as a new day is dawning. Driving: Driving on the left side is not something you do without training and practice, except for when it is. In 1998, when I was headed to my first British Open, I was concerned about the 45-mile drive from the airport in Manchester, England to Southport, home of Royal Birkdale. One of my golf writer buddies who I was sharing a house with told me not to worry. He was a veteran of several British Opens and of driving on the left. He’d rent a car for the week and I could ride shotgun. Sounded like a plan, until we were standing in the Hertz office at the Manchester airport and my buddy discovered he had managed to leave his driver’s license back home in New Jersey. Hertz would rent him a car, but he was not allowed to drive. "No problem," he said, handing me the keys. Ten minutes later, I was behind the wheel, merging into morning rush-hour traffic on Manchester’s equivalent of the Schuylkill Expressway. By the end of the week, I was an old pro, weaving in and out of traffic, whizzing around narrow, country roads, negotiating round-abouts like a New York cabbie. Smoking everywhere: The anti-smoking craze that swept across America years ago has yet to reach the shores of the U.K. Restaurants, bars, media centers, they’re all full of smoke. The food: All the snarky clichŽs you hear about how lousy the food is in the U.K. – true, all true. So much of cuisine is inexplicably bland and borderline inedible, which is surprising considering we’re talking about such an ancient and cultured part of the world. 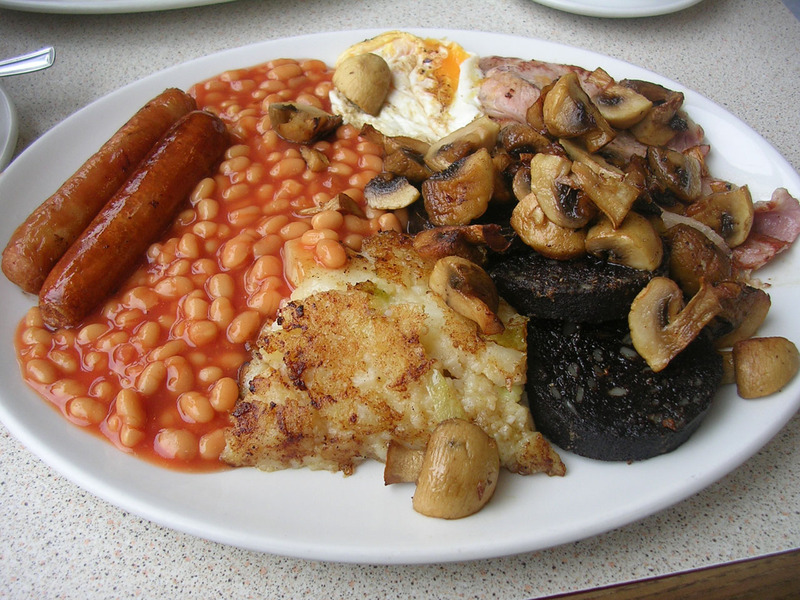 Try starting the day with the "Full English" breakfast (eggs, fatty bacon, fried bread and baked beans, or Bangers and Mash (fatty sausage and mashed potatoes) or Shepherd’s Pie (minced lamb, veggies and mashed potatoes). 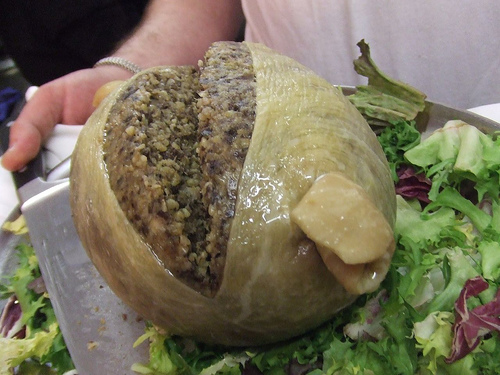 While in Scotland, be sure not to miss the haggis (don’t even ask). Thing is, even when it is a food or dish you recognize and like back home, they have a way of preparing it in the most unappetizing way. Even the pizza joints and Chinese "take-away" places don’t measure up. One of the favorite meals over there – sort of their answer to a burger and fries – is fish and chips, or fried fish and fries. Not a bad concept, except they have a way of making the fish and the chips so limp and greasy as to be revolting. One year, one of the guys I was sharing a house with, left a half-eaten order of fish and chips in a paper bag on the dining room table. The next morning, the grease had leeched out of the bag and eaten through the varnish on the table. The good news is, I always counted on the British Open to help me lose five pounds. The prices: Depending on the exchange rate between the U.S. dollar and the British pound, figure on everything costing 50- to 100-percent more than back home. Hotels, restaurants, car rentals, soft drinks in a convenience store, a round of golf, everything is expensive. You can drive yourself nuts pinching pennies, or you can grin and bear it. Still, minor annoyances aside, the British Open is the best tournament in golf. 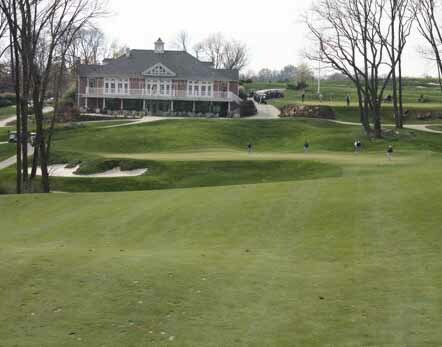 The Golf Course at Glen Mills gets another approving nod tomorrow night on the Golf Channel. The course, owned and operated by Glen Mills School, the oldest reform school in America, is profiled in a seven-minute segment on the weekly program, Golf in America, to air at 9 p.m., Tuesday, July 13. Correspondent Jim Axelrod reports the piece, which introduces viewers to the Bobby Weed-designed course and explains how Glen Mills students work on the maintenance staff, at bag drop, and in the pro shop. In addition to a couple of students, Glen Mills executive director Gary Ipock and board member Ron Pilot, who is the father and patron saint of the golf course, are interviewed. When Tiger Woods returned to golf in April at the Masters, we all braced for the inevitable onslaught of very awkward questions over the mess he made of his life. For the most part, he didn’t get those questions. The reason is Augusta National Golf Club, and the PGA Tour at tournaments since then, denied credentials to the likes of the National Enquirer, TMZ, Radar, Star magazine and the rest of the tabloid media. What was left, of course, were the golf writers he had faced for years in better times, on better terms. For the most part, they had neither the interest nor the stomach to do the bidding of the tabloids. Still, so as not to be accused of giving Tiger a free pass, the golf writers poked around the edges of Tiger’s sexcapade, eliciting more apologies and professions of remorse. Satisfied, the golf media has since largely moved on, as witnesses by last week’s press conference at the AT&T National at Aronmink during which Tiger allowed as how he is relieved that questions are finally getting back to the state of his golf game again. But now comes next week’s British Open. Tiger will face a very different media in the UK. Except for The Times of London, and maybe the Guardian, every paper over there is a tabloid, and they compete on a daily basis to see who can be the raciest. It is not by happenstance that the supermarket tabloids in the U.S. have traditionally been edited by imports from the UK. It all makes for great entertainment, but the UK tabloids not averse to a little exaggeration. One of the first times I ever saw the UK tabloids in action was during the 2002 Ryder Cup, at The Belfrey, in England. During one of the U.S. team’s early-week press conferences, a UK tabloid writer asked Tiger about his practice schedule. Specifically, where did he get off practicing shortly after sunup, as is his customer, and being off the course by the time many fans are just arriving? Slightly taken aback, Tiger’s response was, well, if anyone wanted to what him practice, come out early. I was stunned to see the next morning’s banner headlines in the tabloids, which essentially accused Tiger of being arrogant, of hiding from fans, of thumbing his nose them, especially little kids. That is the media environment Tiger is walking into at the British Open. The tabloids are the mainstream media over there. Tiger will not be shielded. We got a taste of it a day ago, during a pro-am in Ireland, when a UK reporter asked Tiger point-blank if his infidelities were worth the loss of his marriage, millions in endorsements and the respect of fans around the globe? Tiger squirmed a little, but kept his composure. 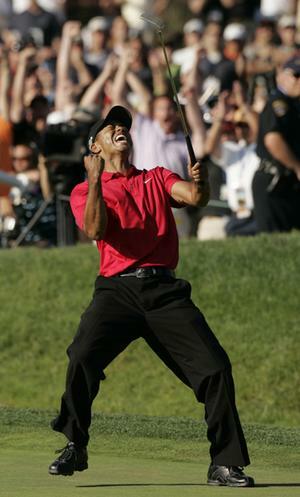 The AP account of the moment described Tiger was "curt and dismissive" and "icily firm." Having watched video of the exchange, I didn’t think he was either. I say that not in defense of Tiger. What got him into his situation is indefensible, and he continues to pay a huge price for his mistakes. All I’m saying is, next week, at the Old Course in Scotland, get ready for Tiger to face the media grilling he hasn’t yet gotten in the U.S.
Maybe they’ll ask him if he can help BP come up with $20 billion to cover the cost of the oil spill. It would be impossible to come away from the week of the AT&T National at Aronimink GC and not consider it an unqualified success. From the golf course, which as drawn high praise from the players, to the fan support (45,000-plus Friday and Saturday, 36,000 Sunday, 192,633 for the week), to Aronimink’s ability to host a modern, big-time tournament, it has all been good. Even the weather cooperated, which it did not the last time Aronimink hosted a major, the 2003 Senior PGA Championship, when it rained virtually all week. It is no secret that even before the AT&T came off well, Aronimink had designs on bigger fish: namely, another major to follow up on its 1962 PGA Championship. Aronimink president David Boucher acknowledged Sunday that the club has indeed put out feelers to the PGA of America and in conversations about a future event. "The very early stages," Boucher said of the conversations. Assuming the PGA of America is as enthusiastic about how the AT&T came off, the first available open date for a PGA Championship is 2017. The first open date for a Ryder Cup, which is also run by the PGA of America, in the U.S. is even further out, in 2024. A bid for a U.S. Open at Aronimink is not completely out of the question, although it is less likely than a PGA Championship. The Open is coming to Merion GC in 2013, of course, and another Open wouldn’t likely return to the area for at least 10 years, or 2023. Beyond that, U.S. 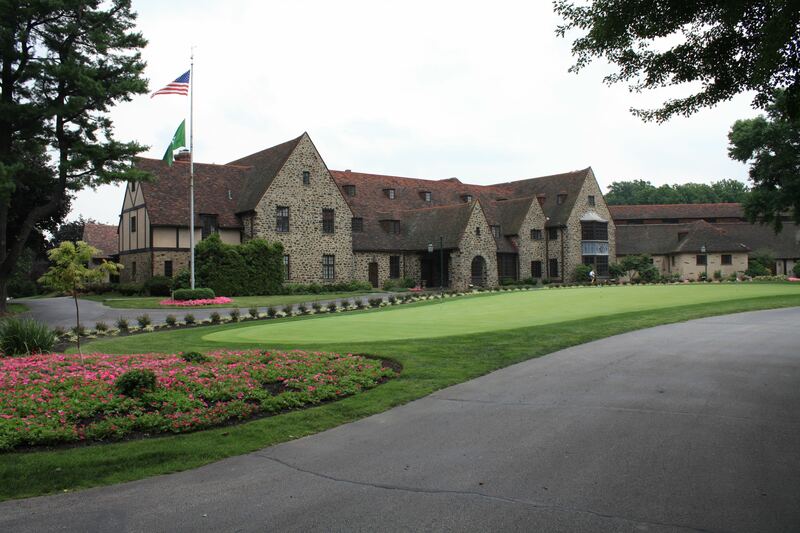 Golf Association officials have acknowledged privately that when they think of Philadelphia, they think of Merion. It has, of course, hosted more Opens (four) and more USGA championships than any other club in the country. In addition, clubs tend to gravitate toward one or the other, the PGA of America or the USGA. Merion is clearly in the USGA camp, while Aronimink has more of a history with the PGA. One other possibility for Aronimink could be a Presidents Cup, which is run by the PGA Tour, as is the AT&T National. Like the Ryder Cup, the Presidents Cup is played every other year and rotates between U.S. and International venues. The next available date for a Presidents Cup in the U.S. is 2017, like next available date for a PGA Championship. I predict Amink will get the PGA by the end of this decade. What if this is the new normal for Tiger? After a 70 on Saturday that gained no him no ground in the AT&T National, Tiger Woods stepped to the microphone for his usual post-round debriefing. Tiger didn’t look happy, and why would he? He didn’t look happy on Friday, either, when he also shot even par 70 and said more or less the same thing. 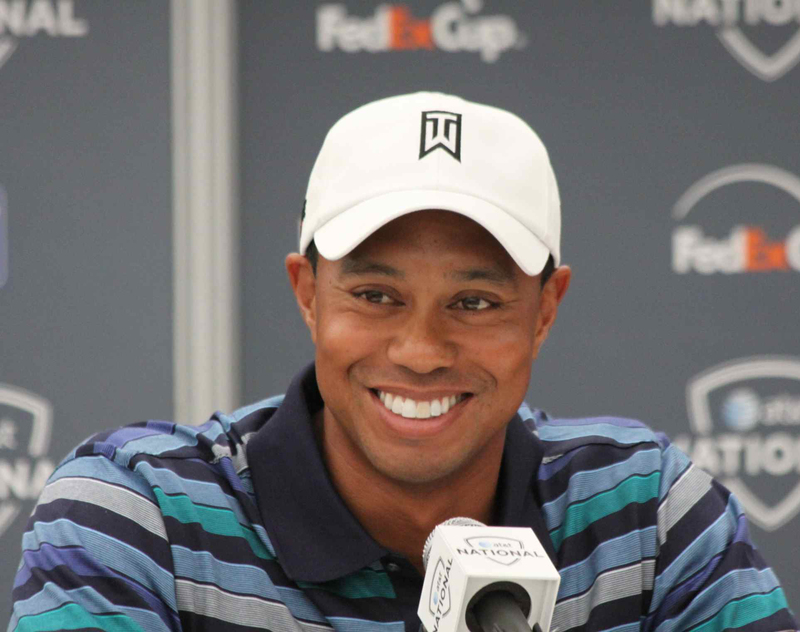 For Philadelphia golf fans getting their first up-close look at Tiger this week at Aronimink, the bummer is that he is out of contention – a non-factor in the tournament -- and he will be streaking home on his private jet before leader Justin Rose tees off, let alone finishes. Obviously, this is not fans, tournament organizers nor the PGA Tour want, certainly not for the long term. The current state of affairs calls to mind the old salt: "As goes General Motors, so goes the nation." How about, "As goes Tiger Woods, so goes golf?" These are not good times for Tiger, in his personal life or in his golf game. The possibility that nobody wants to ponder is, what if this is the new reality, the new normal? What if Tiger’s best golf is behind him and that he will never again achieve the kind of dominance and success that made him a global icon? We still see flashes of the old Tiger, like that third-round 66 at the U.S. Open that got everybody excited over the possibility of a major charge on Sunday. Didn’t happen. He fizzled. It was hard to tell who was more disappointed, him or golf fans. As the huge and enthusiastic crowds following Tiger at Aronimink have demonstrated, the worst of his personal problems are in the rearview mirror and fans seem willing to forgive and forget. What they want, and what golf needs, is the old Tiger back. 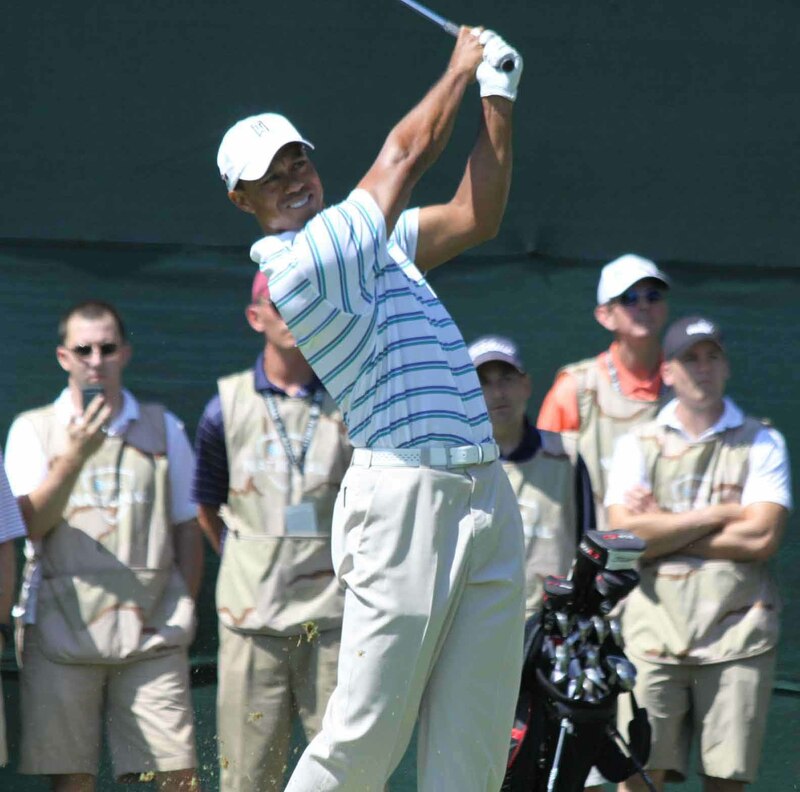 For as long as Tiger has been on the scene, what wowed fans the most was his awesome power. Up close, his tee shots sound different. The ball flight looks different, higher, longer. But while his power game is what drew all the oohs and aahs, it was his putter that really won tournaments and made him the No. 1 player in the world. Remember a few years ago, when the standard line in trying to describe Tiger was often, "He’s is like Nicklaus, only with a better short game." No question, Tiger was the No. 1 putter in the world. Ask any player on the PGA Tour who they’d want to putt a 6-footer to save their life and the answer was always, "Tiger." But lately, Tiger isn’t making all those putts. He missed a baker’s half-dozen makeable putts during his first round at Aronimink, none more telling that the 5-footer for birdie at the 18th , which followed a 329-yard blast off the tee and a perfect little half-wedge. He needed that put to get him into better position for Friday, yet he lipped it out. I was standing 20 feet away, with a good look at the line, and it wasn’t a tricky putt – not for me, let alone Tiger. More to the point, It was exactly the kind of putt he used to bury 99½ times out of 100. None of this is news to Tiger. "I putted awful," he said after his round Thursday. You can say that again. If Tiger is going to get his mojo back, the putter is the key.